The Department of Veterans Affairs today suspended for-profit DeVry University from the VA’s “Principles of Excellence” status under the GI Bill. 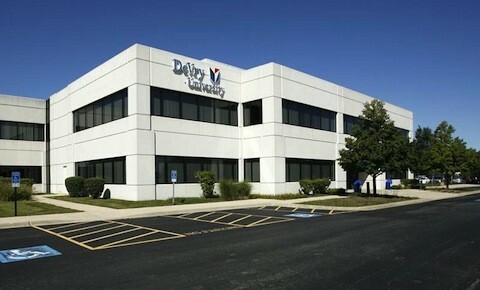 The VA said in a statement that it had taken the action after it had reviewed a recent lawsuit filed by the Federal Trade Commission alleging that DeVry has engaged in deceptive marketing. In today’s statement and in a letter to DeVry, the VA said it will remove DeVry’s “Principles of Excellence” approval status, which indicates a commitment to protecting students, from the VA’s GI Bill Comparison Tool, and will place a warning flag on all DeVry University campus pages in the comparison tool to call attention to the FTC lawsuit. The FTC sued DeVry on January 27, asserting that the company repeatedly used deceptive claims about job placement rates to lure students. On that day, the Department of Education gave notice to DeVry to stop certain advertising regarding student employment outcomes. The VA also said it is conducting reviews at all DeVry campuses to determine whether the company is complying with federal regulations. Coy’s letter added that the VA remained in discussions with the FTC and reserved the right to take further actions with respect to DeVry based on new information. DeVry remains eligible to enroll veterans and receive their federal education benefits. DeVry last year received more than $1.5 billion in taxpayer dollars from federal student grants and loans. DeVry Group is extremely disappointed by the VA’s action taken today. The FTC’s allegations that the VA cites are just that – allegations – and we believe are without merit. In fact, we filed a motion to dismiss the FTC complaint on March 10. The VA should withhold judgement on these matters while we seek resolution. The VA’s premature action will only further limit educational choices for Veterans. DeVry’s motion to dismiss the FTC lawsuit, which I tweeted about last week, is here. The FTC complaint focuses on claims that DeVry repeatedly made in its TV, radio, online, print and other advertising: that 90 percent of DeVry graduates actively seeking employment got jobs in their field within six months of graduation; and that DeVry graduates had 15 percent higher incomes one year after graduation on average than the graduates of all other colleges or universities. In its motion, DeVry argues that its “ads do not state that 90% of graduates attain ‘new’ jobs, and, indeed, affirmatively state that the graduates ‘had careers in their field,’ ‘obtained a new job or continued working in a job held before graduation,’ or ‘were employed at graduation or actively seeking employment in their field after graduation'” – although later in the brief the company admits that it made the unqualified 90% claim on Twitter and on its website.